Aβ (Abeta or beta-amyloid) is formed after sequential cleavage of the amyloid precursor protein (APP) by β- and γ-secretases. γ-Secretase, which produces the C-terminal end of the Aβ peptide, cleaves APP to generate a number of isoforms of 36-43 amino acids in length. Aβ42 functions as a cell surface receptor on neurons, controlling neuronal growth, adhesion, and axonogenesis. Aβ42 is also a major component of amyloid plaques and accumulates in the neurons of Alzheimer’s disease brains. Both tau and Aβ42 have been identified as core biomarkers of Alzheimer’s disease. Their levels in cerebrospinal fluid (CSF) reproducibly distinguished normal and Alzheimer’s patients, and in combination, they may be useful in identifying patients with mild cognitive impairment (MCI) or other types of neurodegenerative dementia. 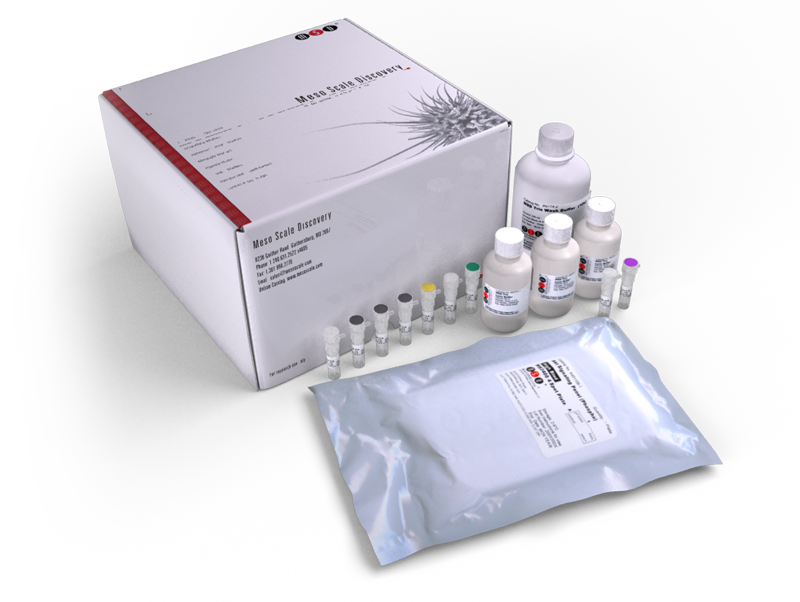 The Aβ42 Peptide (4G8) Kit was validated for the quantitative determination of Aβ42 protein in human CSF and mouse plasma. This assay is also compatible with other sample types, including conditioned neuronal cell culture medium, cell lysates, and tissue homogenates such as mouse brain. This validated assay uses an Aβ42-specific capture antibody with an anti-beta amyloid (17-24) antibody (4G8 clone) as the detection antibody. The 4G8 clone is provided by Covance Research Products, Inc.